With the marketing deal that Sony have with EA for the upcoming Battlefront, at Disney’s D23 Expo more news of Sony’s, EA’s and Disney’s partnership was revealed. 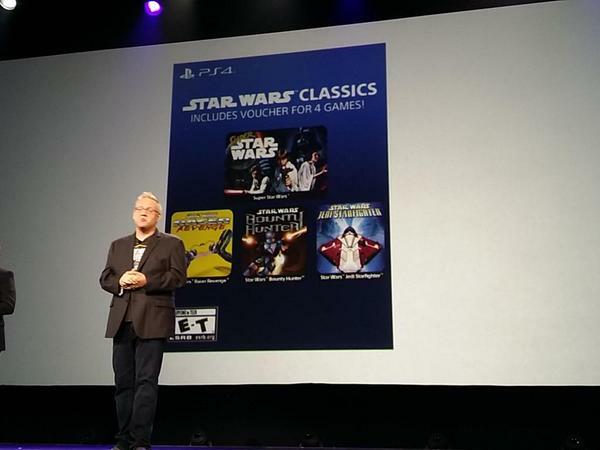 There will be 2 Star Wars themed PS4 bundles releasing. The Limited Edition Star Wars Battlefront PS4 Bundle will include a custom 500GB limited edition PS4 system (CUH-1200 series) and DUALSHOCK 4 Wireless Controller inspired by Darth Vader. 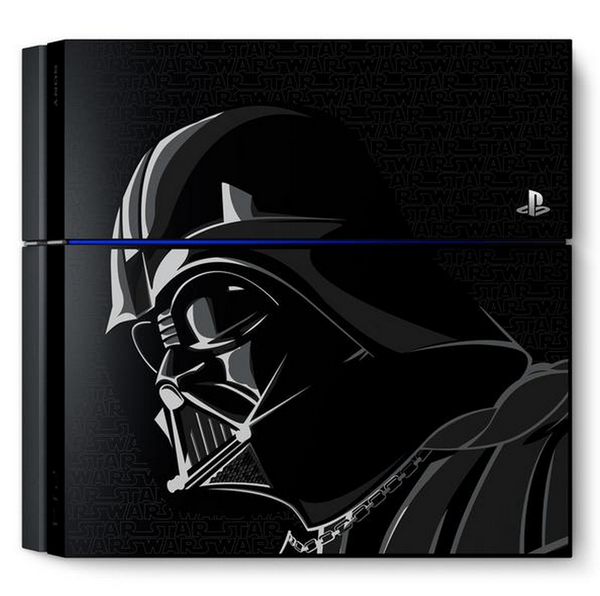 The fully customized PS4 features an image of Darth Vader, as well as a repeated Star Wars logo across the top of the system. 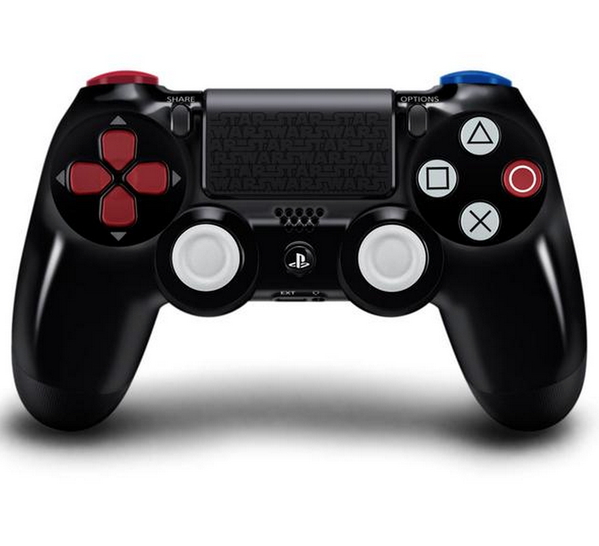 The Darth Vader edition DUALSHOCK 4 is inspired by Darth Vader’s chest panel and features the repeated Star Wars logo on its touchpad. And, to celebrate the launch of Disney Infinity 3.0 Edition, we’re releasing a Limited Edition Disney Infinity 3.0: Star Wars PS4 Bundle available exclusively at Wal-mart on November 17th. The package will include the Darth Vader-inspired 500GB PS4 system (CUH-1200 series) and DUALSHOCK 4 Wireless Controller, as well as the Disney Infinity 3.0: Star Wars Edition PlayStation Exclusive Hardware Bundle Kit. The kit includes a physical copy of Disney Infinity 3.0 Edition, the Disney Infinity Base, the Rise Against the Empire Play Set Pack (featuring Luke Skywalker and Leia Organa figures, as well the Rise Against the Empire Play Set piece), and the Boba Fett figure, exclusive to PlayStation through this holiday. The Limited Edition Disney Infinity 3.0: Star Wars PS4 Bundle will also include a digital voucher for the four classic Star Wars games mentioned above.